When coming to terms with depression there are many resources available for counseling as well as reporting potential suicide attempts. 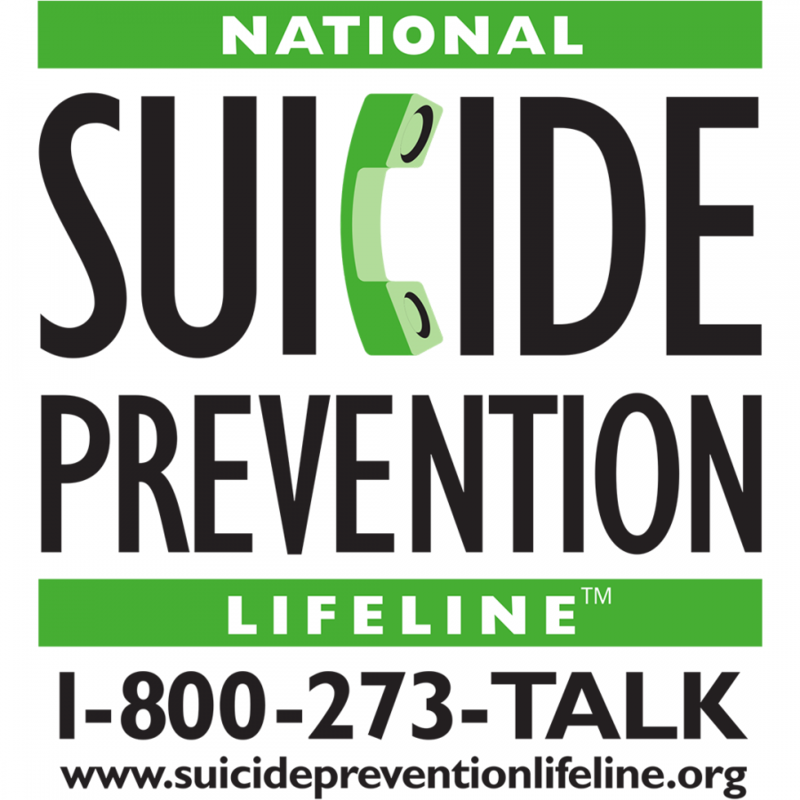 Above is the National Suicide Prevention Lifeline as well as their number and website. They have advocates that you can speak to with concerns for yourself or others. In the last 45 years suicide rates have increased by 60% worldwide, according to the World Health Organization. This represents a global mortality rate of 16 people for every 100,000 or one death every 40 seconds and it is predicted that by 2020, the rate of death will increase to one every 20 seconds. In addition, suicide is now among the three leading causes of death, following unintentional injury and homicide, for ages 15-44 (male and female). Many of these deaths are predominantly in age rage of 17-24 due to a multitude of factors, experienced during these years. High school students may be under intense academic pressure, while college students are often living away from home and must face an entirely new social environment. Situations like these are very common precipitates for suicide, and unfortunately, is deemed as a solution to these temporary problems. Signs of depression can sometimes be difficult to identify. 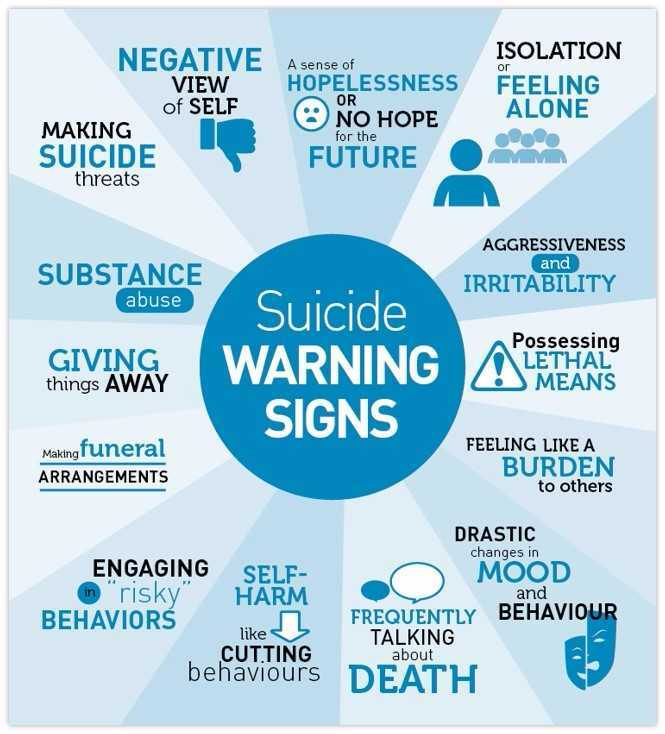 This chart provides other signs not mentioned in this article such as self harm, aggressiveness and suicidal threats. When suspecting that you or someone you know may be dealing with depression, using a chart such as this one may be able to help you determine if they are showing signs of a mental illness. However, knowing the signs of depression can be the difference between life and death. Noticing signs of avoidance, sadness and recurring thoughts or talk of death is a clear sign that an intervention is needed. According to the National Alliance on Mental Health, communication is one of the key factors in providing help and a clear sense of validation to a depressed or suicidal person. Researching and contacting a local therapist is ultimately the most effective way to deal with long term depression and/or other issues needing to be addressed. If left untreated, depression can have a detrimental impact on one’s future self. The chance of partaking in risky behaviors such as drugs and alcohol drastically increases. It can also impact the social aspect by ruining relationships and causing a lack of interest in once enjoyable activities. Clinical depression, otherwise known as major depression, takes a serious toll on one’s health and can lead to other physical problems. Some of these include a change in sleep patterns, weight gain or loss and feelings of hopelessness or irritability. 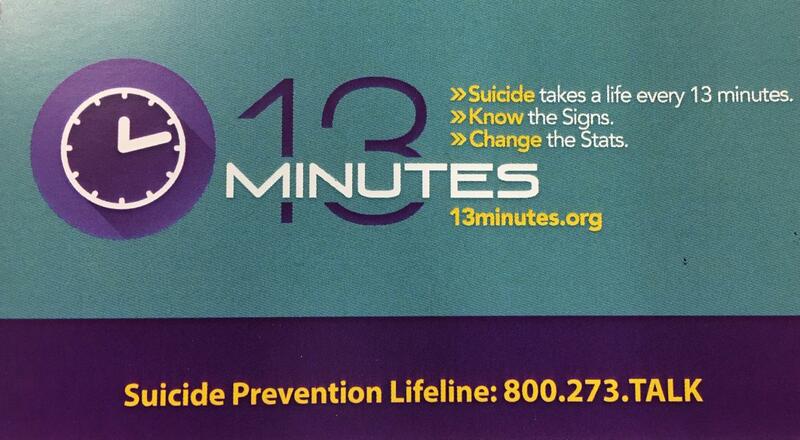 Cards containing the National Suicide Prevention hotline were handed out to students on November 13th. Students also were asked to participate in a Google Forms survey addressing signs of depression as well as concerns about their peers. The card also contains other hotlines that students can call on the back such as the Crisis Text Line and the Boys Town National Hotline. by suicide. 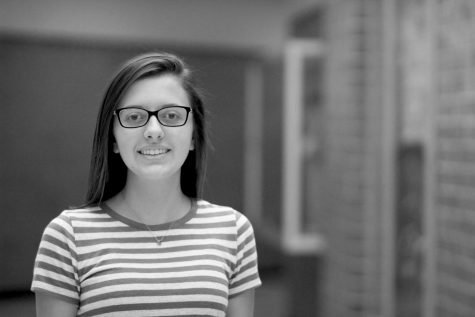 According to the Suicide Prevention Resource Center, promoting emotional well-being and connectedness among all students is essential to suicide prevention. Millard West students received a presentation on November 13th addressing signs of depression and participated in a Google Forms survey. They were asked if they had any concerns about their peers having suicidal thoughts or if they themselves, needed to speak to a counselor. Teachers also passed around small cards containing the Suicide Prevention Lifeline as well as other hotlines students could call with concerns. If you or someone you know is struggling with depression or having suicidal thoughts, contact the National Suicide Prevention Lifeline at 1-800-273-8255 or visit their website at suicidepreventionlifeline.org to speak to one of their advocates.